Gorgeous morning in the Italian Alps. Great capture , Philip. 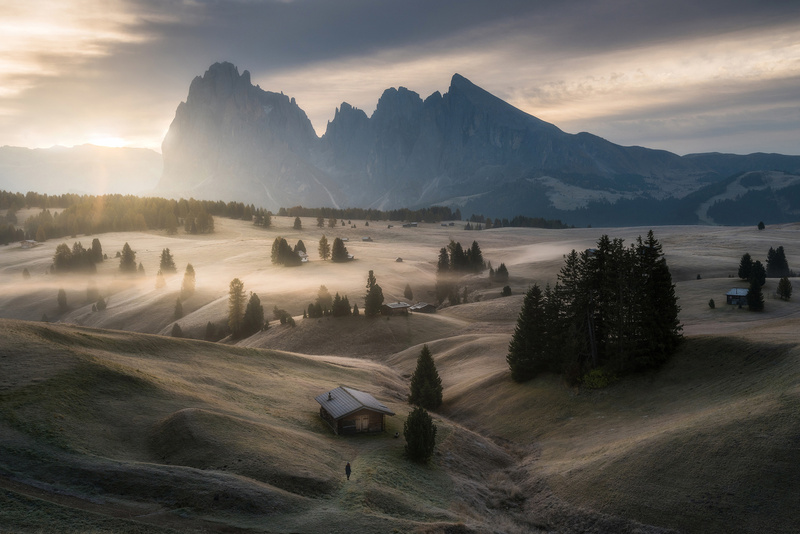 Alpe di siusi with the morning fog its pretty epic ! Yea it's truly an amazing place, i'm already looking forward to go back next year. Great picture! I like how I was looking and thinking how peaceful it was, with the mist and no people... and then I noticed the small silhouette. Really nice. Thank you so much Tino!